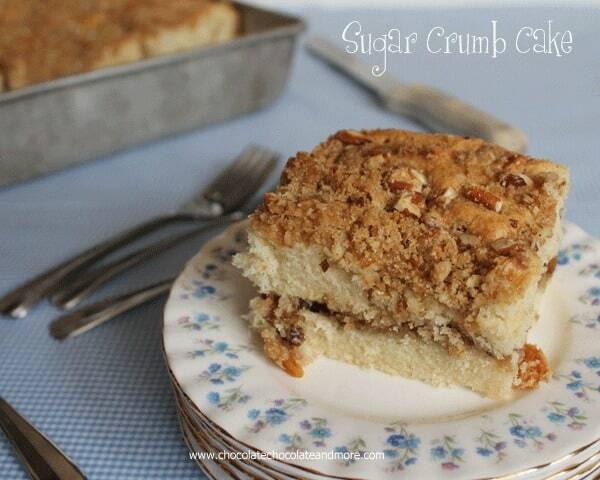 Sugar Crumb Cake - Chocolate Chocolate and More! 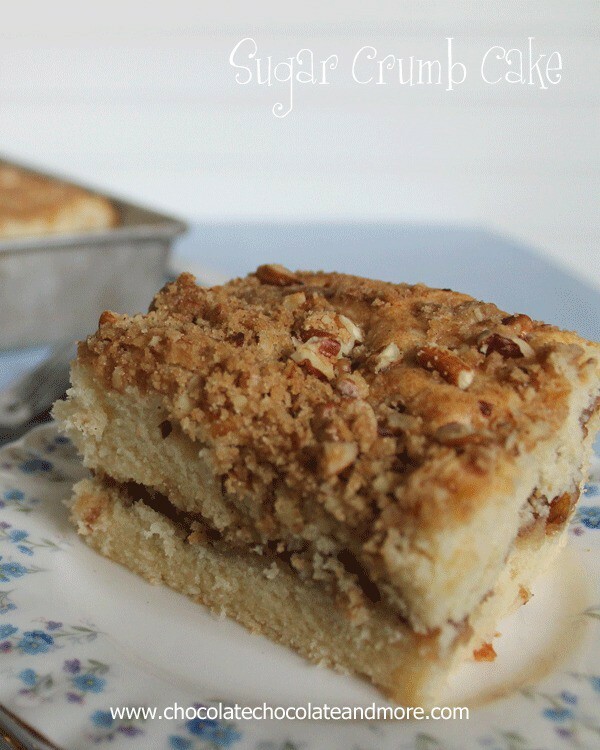 Sugar Crumb Cake-this coffee cake is great for breakfast or dessert! Remember life before Pinterest? When all the great ideas you wanted to someday get around to doing, you found them in magazines. And then you would cut out the page of that great idea and save it somewhere? In a folder, or notebook. Shoved into a shoebox filled with dozens of other great ideas from magazines you want to someday get around to doing. It could have been a decorating idea, pretty pillows, a color scheme, dreamy furniture, garden ideas. I always loved (still do) those outdoor rooms. You’d look forward to the mail towards the beginning of the month because that’s when all the magazines came in. Yeah, the bills came too, but you’d put those to the side and immediately start flipping through the magazines. Vibrant, eye catching photos would jump out at you, making you want whatever was pictured. It was always a great/horrible day when more than one magazine arrived. Then you had to decide which one to look through first. Now we have Pinterest, millions of photos, of any topic we want. Food, Food AND more FOOD! Diy projects. Fabulous Homes. Fashion. Animals-let me tell you, pet shaming is not a fad that’s going away anytime soon. Pinterest has even become a place to share your stories. Make a theme board and get creative. Here’s the best board like this I’ve found so far-My Imaginary Well Dressed Toddler Daughter , I promise, the captions Tiffany ads to her pins will make you snort milk/soda/coffee out your nose, so don’t be drinking while reading them. This is one of my favorites from her board. I need to find Bushwick’s recipe. So I don’t get many magazines any more, in fact the only ones I do get were practically free. But I do love looking through them, and I keep them (all of them) for future reference. I don’t tear them up any more. Now I use post-its to stick out of the tops to mark the pages of things I want to look at again. That doesn’t mean I don’t have scraps of paper tucked into the back of cookbooks, stuffed in drawers, from long ago. Well worn, well used, tried and true recipes with drips of batter wiped off and smearing the print. 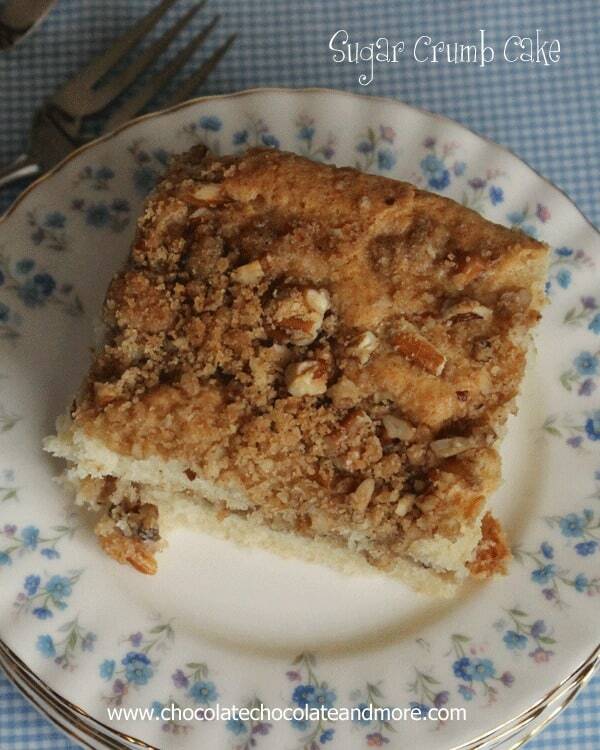 This Sugar Crumb Cake is from one of those scraps. who knows which magazine it came from. I can only tell you old. And faded. And well smudged. 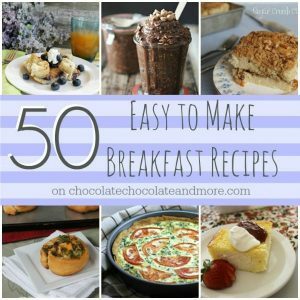 A good recipe to keep. Make your crumb mixture-In a medium bowl combine all ingredients, until crumbly. In large mixing bowl sift together flour, baking powder and sugar. 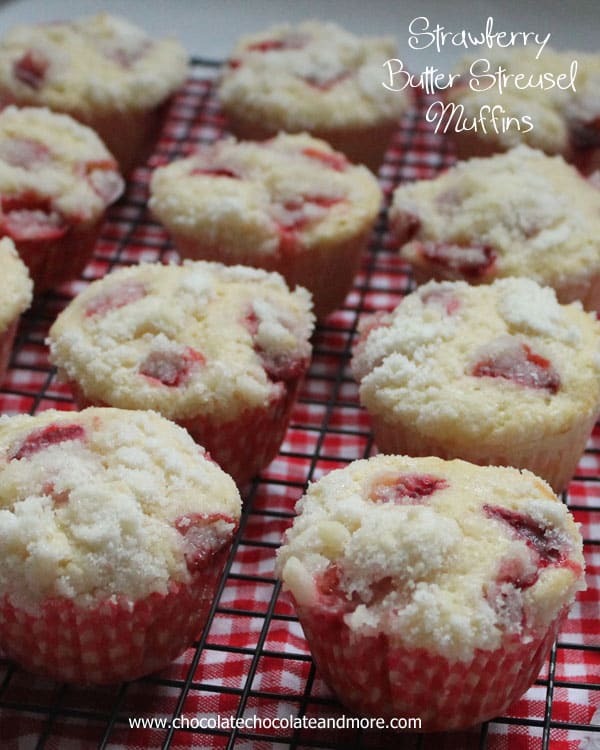 Cut in butter either using a pastry blender or using a stand mixer on the slowest speed until a fine crumb forms. Using a mixer it takes about 4-5 minutes. 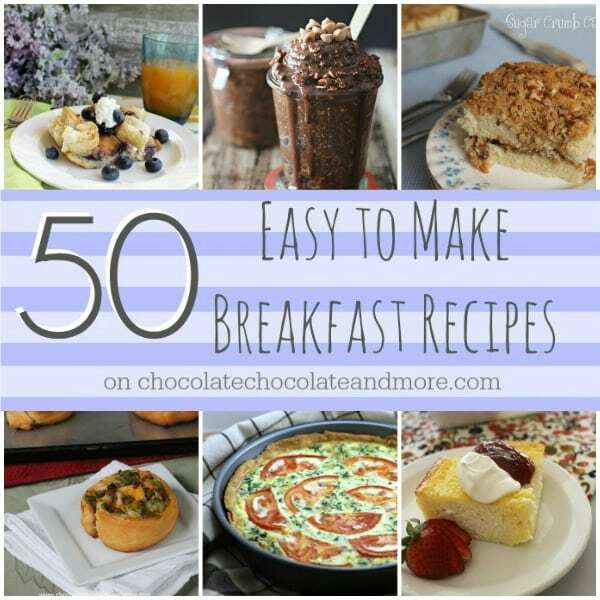 In a separate bowl, whisk together eggs, milk and vanilla. Slowly add egg/milk mixture to flour mixture until well blended and smooth. In a 9 x 13 greased baking pan, spread half of batter evenly to cover bottom of pan. Sprinkle half of crumb mixture evenly over bottom layer of batter. Spoon remaining batter evenly over top then cover with remaining crumb topping. Bake in a preheated 350 degree oven for 45-55 minutes, until toothpick inserted in center comes out clean. 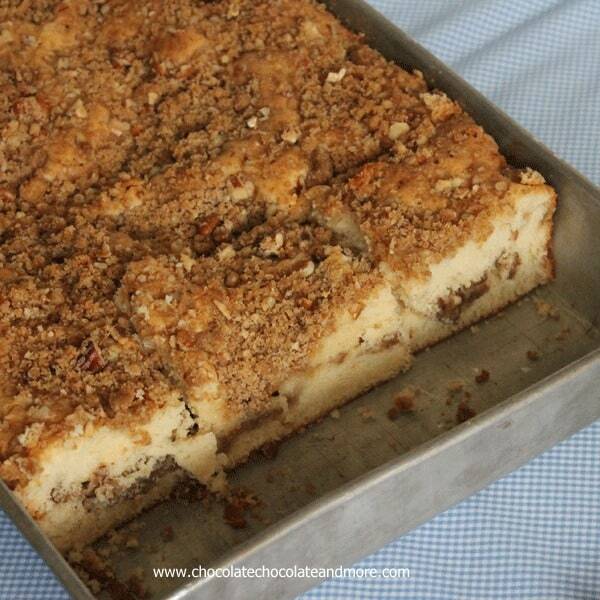 Sugar Crumb Cake-Hi, I was wanting to know if you are able to add blueberries/apples/peaches to the middle of this cake? I don’t know why not, sounds yummy! Boy does that ever look tasty! Also, you have to love anyone who has a daughter name Quinoa – imaginary or otherwise! Lmao – I totally followed that Pinterest board. I haven’t laughed that hard all day. I still get magazines delivered and I look forward to them every month. Plus, I have a giant binder bursting with recipes that i clip out of magazines and print off the internet. As fabulous as it is to do quick searches online, I still love having paper in my hands. 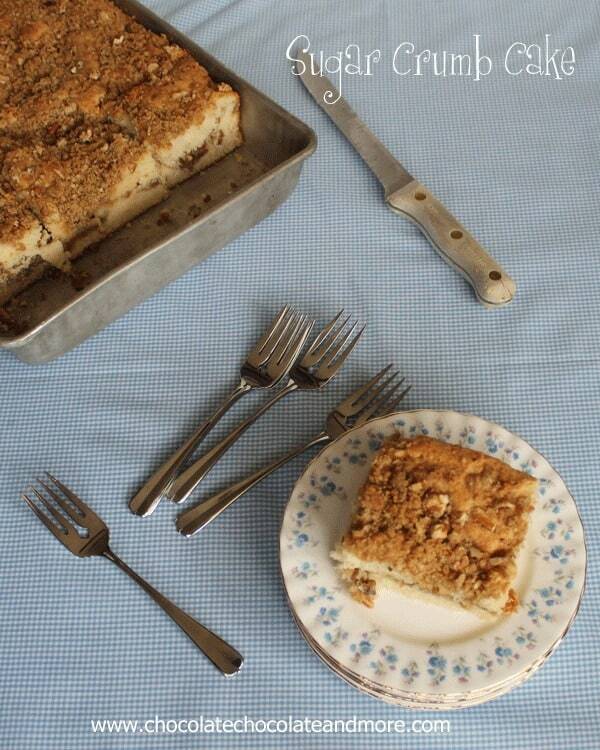 This crumb cake looks incredible, Joan. 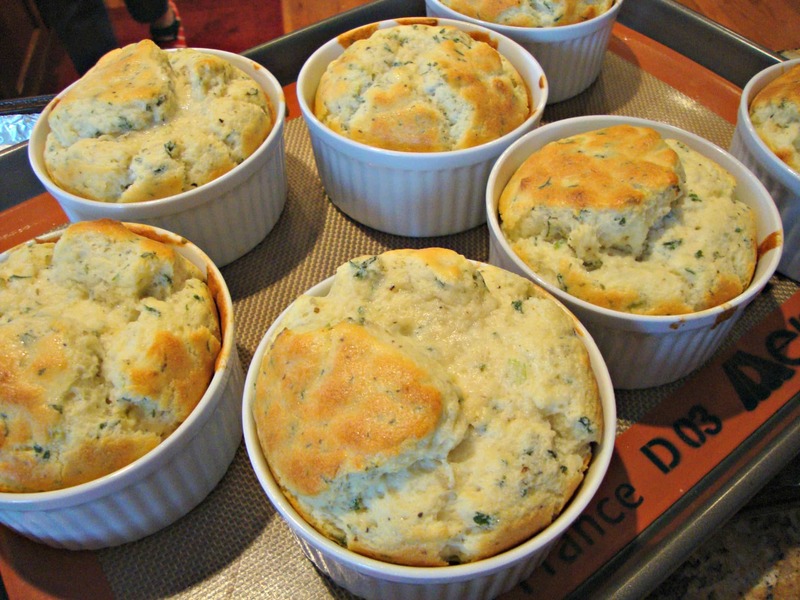 Pinning (and printing, lol) this recipe! I kinda miss magazines too but omg I am so excited to look at that pinterest board! 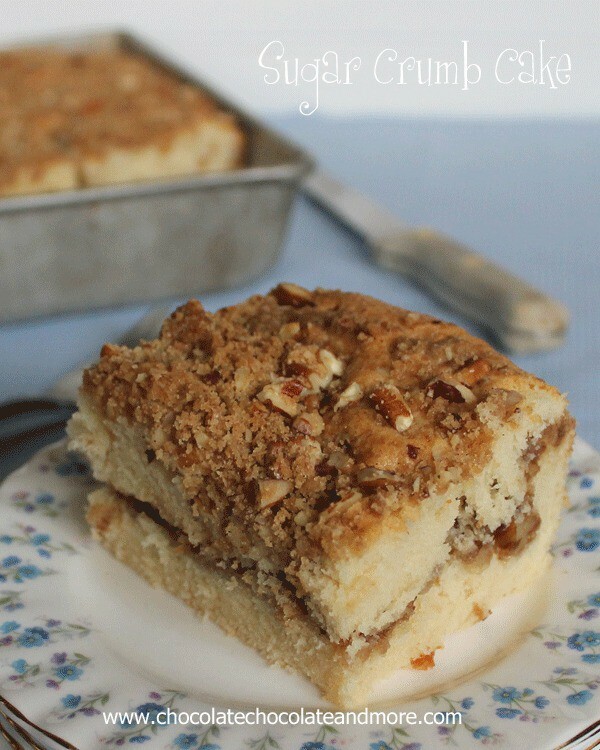 I made the Sugar Crumb Cake yesterday and all I can say is WOW!!!! 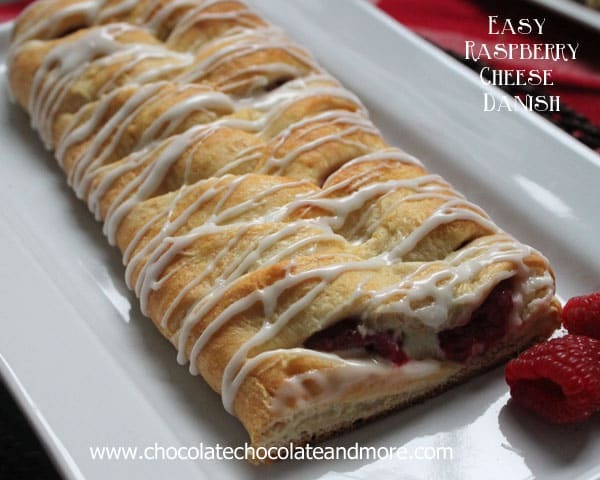 It’s easy to make, moist and sooo delicious. I’m thinking of making it for company in two weeks. I’m so glad I found your website. Thank you. To save time, could you use a yellow cake mix for the cake part? I am making this right now. I found the recipe on the back of a bag of Clover Valley sugar! Same exact recipe! It smells really good. I hope mine turns out looking as pretty as yours! I made this cake and it was awesome so moist and tasty!!! I am low on butter and want to bake this today do you think I could sub palm shortening for the butter in the cake? Would I need to add salt because I am not using salted butter?